Welcome to the Independent’s live blog of the start of Christmas, also known as the launch of the John Lewis advert. Some Twitter users have claimed the latest campaign has "ruined Christmas"
"We're sure Father Christmas has also visited Bridget and Buster the night before, this is just an extra special gift from her parents because she loves to bounce"
The IndependentThe start of Christmas has also been known as the launch of the John Lewis advert, but some Twitter users are now complaining the retailer accidently ruined the magic of Christmas with its latest campaign. 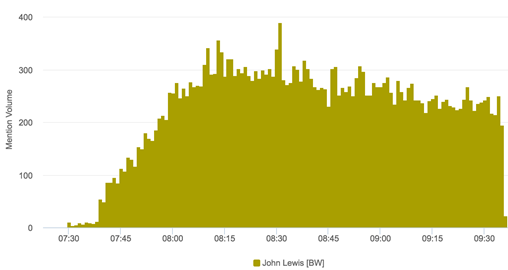 Here is the latest data on John Lewis ad since its launch from 7.39 am to 1pm, according to Brandwatch. Good morning, as the nation is applying its waterproof mascara ready for 8am our thoughts go out to the man who has the @JohnLewis Twitter handle – good luck today! Last year you could only get the telescope that Lily used to spot the old man on the moon. But this year John Lewis is selling a lot of merchandise inspired by their Christmas ad campaign, It’s all likely to sell out fast (just look at what happened with Monty the penguin), so we’d recommend shopping quickly if you have your heart set on a cuddly Buster. We already know that the advert cost about the same amount as it did last year - around £7 million and that the process has taken months and months. That's including filming costs, plus the surrounding campaign: from the soft toys of the characters which feature in the advert, to the bespoke Snapchat lense, which is available until midnight tonight and will transform users into Buster the dog. The Wildlife Trusts are this year's charity partners for the campaign, and they will receive a donation from every £15 soft Buster or £12 soft wild animal toy sold in connection with the ad. John Lewis has reverted back to basics as it reveals a more festive advert after admitting last year’s Man on the Moon was “too sad”. 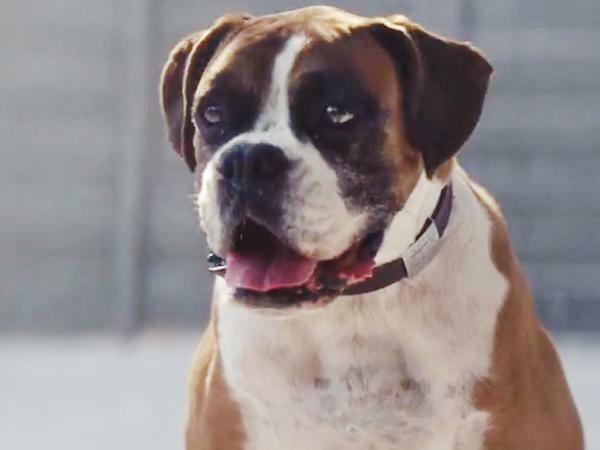 The new two-minute clip Buster The Boxer, estimated to have cost about £7m, tells the story of a little girl called Bridget and five-year-old Biff as Buster her dog. Vince Kerrigan, strategic solutions manager at brand communications agency, Vital communications, told us the release of this ad has been a "communication masterclass for brand owners". He said: “While it is not clear to what extent the timetable was pre-planned, the decision to officially release the ad just 24 hours after the US election result served to accentuate its uplifting message and put thoughts of surprise-filled, family Christmases top of mind. A definite break from the more melancholic reaction to last year’s campaign. The IndependentA teaser for John Lewis eagerly awaited Christmas advert might have already been posted online as fans count the days before its official release. 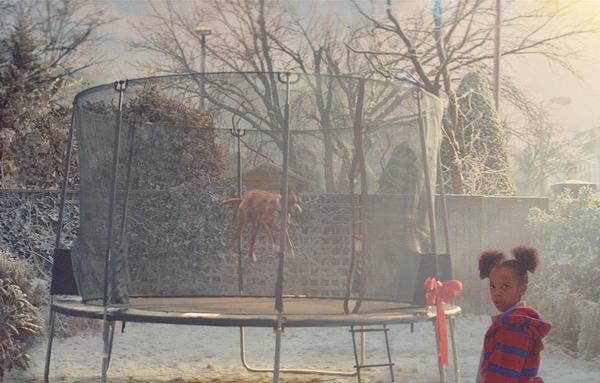 John Lewis Christmas advert is expected to appear on our screen this Friday. 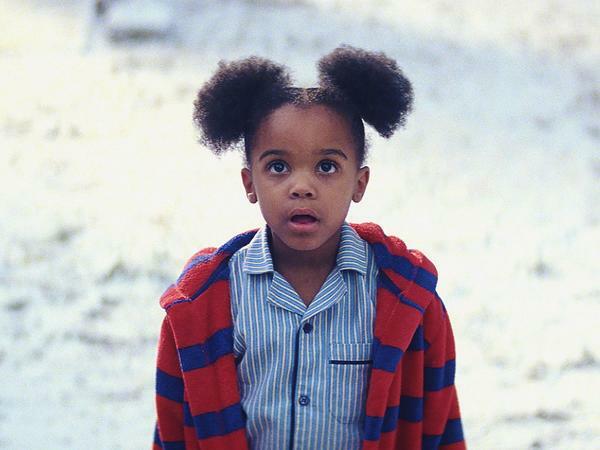 Our culture editor Christopher Hooton welcomes the fact that John Lewis bounced away from its usual tearjerker formula. First off, yes, I’m aware of the inherent absurdity of reviewing an advert, and yes, I’m seriously going to do this a day after perhaps the most significant political event of our lifetime. One user just said John Lewis has ruined Christmas ! "Think John Lewis should have commissioned the fake Christmas advert by the Bournemouth student and donated the £7 million to charity." The IndependentAs Christmas approaches every year, people eagerly await the release of John Lewis' advert. But this year, an A Level student has fooled the internet into thinking his video of a lonely snowman was this year's John Lewis offering. 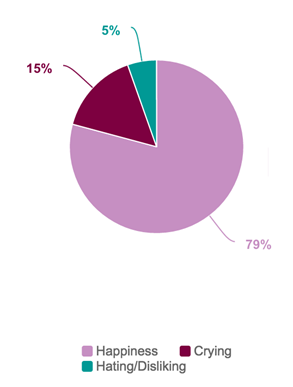 Brands are celebrating Christmas early for a reason, for them it means big business. 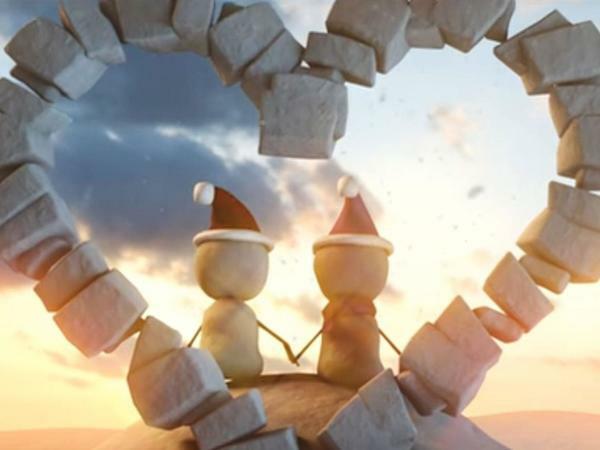 The IndependentWith more than a month to go before Christmas, John Lewis is already expected to release its latest tear-jerker on Friday, while Burberry has kickstarted the Christmas advertising battle with its campaign last week. Brands start celebrating Christmas early for a reason, for them it means big business. 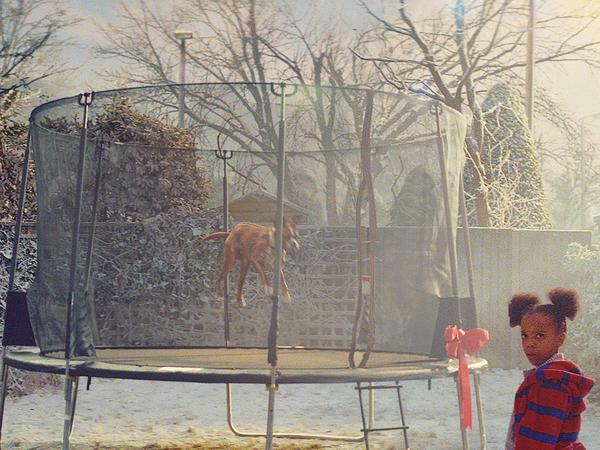 Buster the Boxer feel-good ad is a departure from John Lewis' tearjerkers of its previous festive campaigns. Another marketing specialist tell us that Buster the Boxer's change of tone was a smart idea. She adds that the adverts return to animals should be good for business. 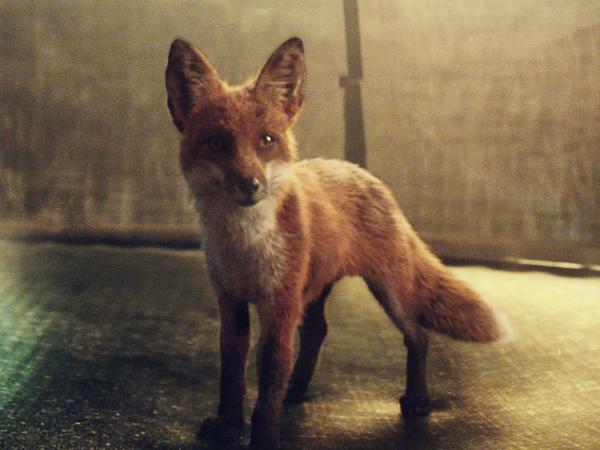 “Yet whilst the ad might mark a return to animals, humour and a domestic setting, the marketers behind it have upped the ante. This isn't through spending more (a story that last year threatened to overshadow the creative), rather it's through making more of all the marketing channels that now engage consumers. This year John Lewis are using Snapchat filters, Twitter stickers and immersive in-store experiences to support and share the central Bounce theme." "In an echo of Monty the penguin, we also see a return to character merchandising, with cuddly versions of the animal stars available to buy now." After previously opting for acoustic covers of ballads by Ellie Goulding, Gabrielle Aplin and Aurora, John Lewis followed the tradition of previous years by plumping for a female-fronted cover. The artist soundtracking this year's advert is London-based Vaults. You probably heard their song One Last Night featured on the Fifty Shades of Grey film soundtrack, while their debut album is expected in February 2017. The IndependentAs has become a yearly tradition, retailer John Lewis has chosen an up-and-coming artist to perform a slowed-down cover version for their Christmas advert. 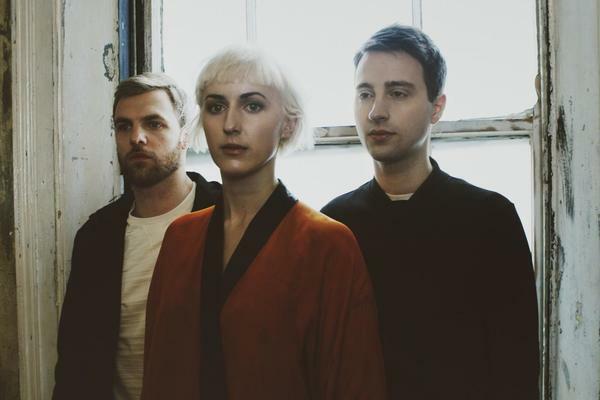 This year, according to The Sun, London-based band Vaults has landed the prestigious gig, following in the footsteps of Aurora, Gabrielle Aplin, and Tom Odell. This year John Lewis partnered with Snapchat, which will allow UK users of the messaging app to use a Buster lens on Thursday, so they can snap portraits with comedy dog ears and nose. And here is an example of one of the merchandise featured in the campaign. It’s all likely to sell out fast - remember what happened with Monty the penguin ! Another reader tells us: "This is the worst Christmas advert ever! It has blatant disregard for the true spirit of Christmas. Where is Santa Clause? Don't let any kids see this advert! "this is the worst Christmas advert ever! Where is SANTA CLAUSE!!?? Don't let any kids see this advert it needs to be banned. who are john lewis to destroy the magic of christmas everywhere for kids all over the world. How dare they! Loved the a level snowglobe so much more! John Lewis should be very ashamed of themselves!" Some of course still think the advert was a welcome relief after, as John Lewis, said "quite a year"
In a cheeky response to this year's much-anticipated Buster The Boxer, discount site MyVoucherCodes has teamed up with students from the London School of Communication Arts, to create "discount" alternative of the latest ad - in six hours for just £600 pounds. The IndependentThe John Lewis Christmas advert has dropped. It's business as usual for the brand, which has to live up to the high expectations of the nation every year. The new two-minute clip Buster The Boxer, estimated to have cost about £7m, tells the story of a little girl called Bridget and five-year-old Biff as Buster her dog. Blythe Pepino, lead singer from the Vaults, explain why she like the song choice. She said: "We were approached about doing a version of ‘One Day I'll Fly Away’ for the iconic John Lewis Christmas ad and loved the song choice. It’s such a powerful and beautiful song, made famous by the amazing Randy Crawford. Recording it at the Abbey Road studios with the talented, producer Chris Hill, and a 70 piece choir and 66 piece orchestra, was a truly incredible experience." He said: "It’s dose of reality and humour feels appropriate for this context, no frills, no bows, just a good time story"
"There are numerous mentions of it not making people cry. Obviously in the wrong context crying is not a great thing but these previous John-Lewis-induced-tears were driven from heart-felt memories and day dreams of personal experiences, relationships and associations of Christmas wonder. This is a miss." "Well done John Lewis for making us smile when we needed it but let’s get back some of that old fashioned warmth and nostalgia next time round." How does John Lewis emotionally engages with its fans? 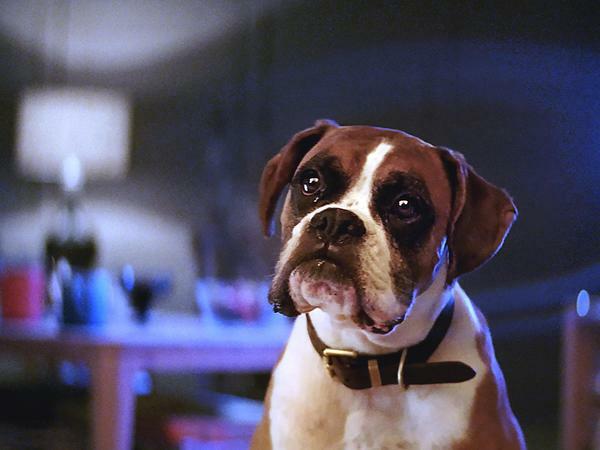 John Lewis has changed its carefully constructed formula for their Christmas advert in 2016, Buster the Boxer. How did it make people feel ? That's all for today - and what a day it has been. Thanks for following our live blog.